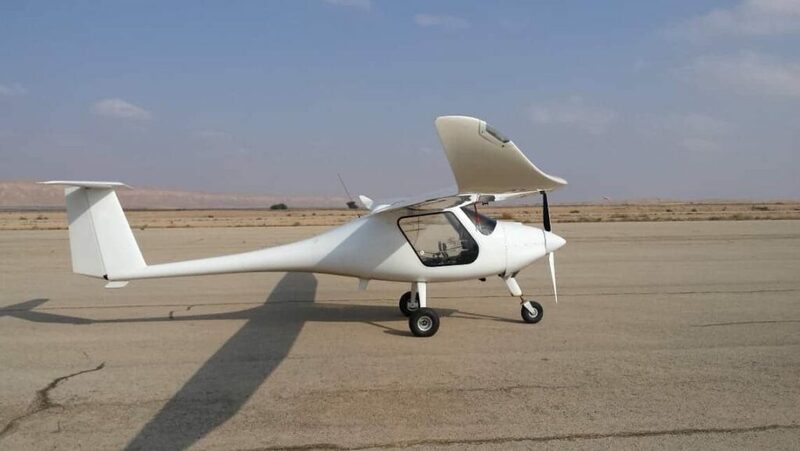 Uavos has announced that the company has created an unmanned aerial vehicle (UAV) based on the Sinus light aircraft manufactured on a large scale by Pipistrel. This project is a part of an overall plan to create a multifunctional aerial robotic system that is able to carry out group missions with an integrated special payload. Test flights demonstrated excellent synchronization of the on-board control system with payloads during a simultaneous flight of three unmanned vehicles. The system includes an unmanned aerial vehicle and a ground control station. With a payload weight of 441 lb (200 kg) the aircraft can fly for 5 hours. The maximum cruising speed is 75 mph (120 km/h), and the operating temperature range is -40ºF to 122ºF (-40ºС to +50ºС). The flight time with a payload weight of 88 lb (40 kg) is 20 hours. Take-off, en-route flight and landing of the drone are carried out in fully automatic mode. “Due to the nature of the project, the mission requires a well-coordinated work of the payloads of the aerial robotic complex consisting of 3 UAVs. The customer has opted for an unmanned complex, since installation of such payloads on manned vehicles is dangerous due to the high level of electromagnetic interference that affects the operation of the regular radio navigation equipment. We’ve converted 3 Pipistrel Sinus aircraft into UAVs. We’ve modified the wings of the original aircraft for the installation of hangers for payload, the wiring has been changed, and we’ve integrated the UAVOS automatic control system,” commented Vadim Tarasov, UAVOS investor and Board member. The heavy weight unmanned aircraft are designed for long-endurance missions in conditions of high turbulence and overloads. The reinforced fuselage and landing gear are engineered for harsh landings, including grass field aerodromes or prepared sites. The onboard control system is adjustable to almost any payload and provides remote diagnostics, as well as remote control via wireless Internet. The unmanned system can be used for surveillance, relay, target indication, towing and dropping targets. An unmanned aircraft will become indispensable during operations in remote regions located far away from freight transport infrastructure, in agriculture, coastal zone monitoring, or as a research laboratory. “Why did we decide to utilize serially produced manned aircrafts? Because conversion of a manned aircraft into a UAV is the simplest, fastest, most efficient and cost effective method at the initial stage of the creation of specialized heavy UAVs. The development and production of a heavy UAV from scratch, including a prototype, testing without a pilot, the preparation of all operating documents, and training of technical personnel requires a huge amount of time and resources. Additionally, there is a major risk to lose a prototype during the tests. At the same time, we had an invaluable opportunity to test the operation of all the units and equipment of the automatic control system, make the ACS settings on board together with the test pilot, especially during automatic take-off and landing,” added Tarasov.